u-blox's RTK technology introduces the concept of a "rover" (NEO-M8P-0) and a "base" (NEO-M8P-2) on the M8 platform for outstanding cm-level accuracy in clear sky environments. The base station module sends corrections via the RTCM protocol to the rover module via a communication link, thus enabling the rover to output its position relative to the base station down to centimetre-level precision. This makes the NEO-M8P ideal where vehicles are required to move faster and more accurately and automatically return to a base station. Typical applications include UAV's, unmanned vehicles (e.g. robotic lawn mowers) and precision agriculture guidance. 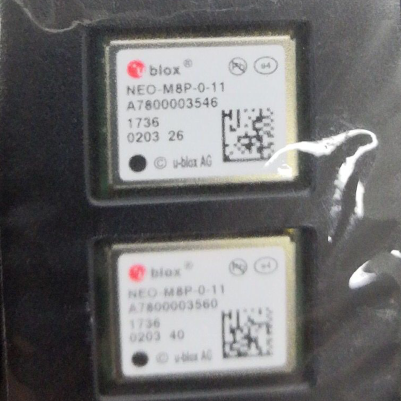 The NEO-M8P module enables the system integrator to access u-blox's complete end-to-end RTK solution including the stationary "survey-in" functionality that is designed to reduce the setup time and increase the flexibility of the application. NEO-M8P includes Moving Baseline support, allowing both Base and Rover to move while computing a centimeter-level accurate position between them. Moving Baseline is ideal for UAV applications where the UAV is programmed to follow its owner or to land on a moving platform. It is also well suited to attitude sensing applications where both Base and Rover modules are mounted on the same moving platform and the relative position is used to derive attitude information for the vehicle or tool. NEO-M8P modules are compatible with a wide range of communication technologies (Cellular, Wi-Fi, Bluetooth, UHF) enabling users to select the most suitable communication link for their application. With u-blox's RTK technology, integration and software development efforts can be reduced, ensuring a minimal cost of ownership.